EPFO or Employees’ Provident Fund Organisation is a statutory body which comes under the Ministry of labour and employment, created by the Government of India. It has been established to assist the Central Board of Trustees and is India’s largest social security organisation as it undertakes a large number of beneficiaries and covers high financial transaction volume. EPFO is also the centralized agency for execution of bilateral social security agreements with other countries. Under ‘The Directives Principles of State Policy,’ the Constitution of India has set the guidelines for every state for making effective provision to secure the right to work, to education and assisting public in cases of unemployment, sickness and disability. EPF came into existence with the enactment of Employees provident fund Ordinance in 1951. This bill was introduced in 1952 for the provision of provident fund to employees working in factories. The Employees’ Provident Funds and Miscellaneous Provision Act were enacted in 1952 as the law to govern EPF by the Parliament, which is applicable everywhere in India except Jammu & Kashmir. Under this act, all the schemes get administered by a governing body - The Central Board of Trustees - which takes all relevant decisions for the execution and implementation of different schemes under the programme. There are several EPF forms available on the EPFO site which can be accessed by the employees under different circumstances. The Central board of Trustees (CBT) has representatives from Central as well as the State governments, including Employers and Employees. It is presided over by the Ministry of Labour and Employment. There is an enforcement officer for district offices, who looks after local establishments and grievance redressal. The functioning of EPFO includes the imposition of the act all over the country except Jammu and Kashmir, individual accounts maintenance, claims settlement, funds investment, instant payment of pension and records updation. EPFO has adopted several IT enabled tools and techniques along with various digital initiatives to simplify EPF accounts for employers as well as employees. 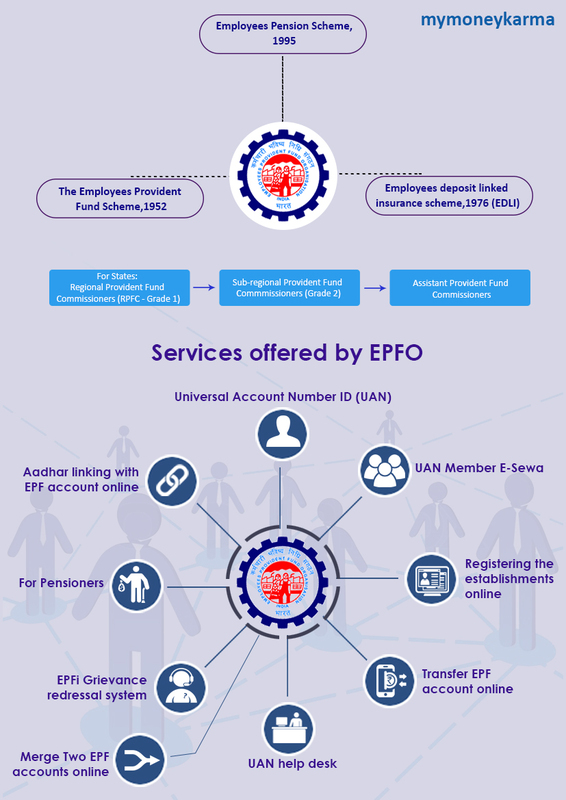 EPFO introduced UAN for all of its members. This number allows the transfer of PF accounts from one employer to another removing the dependence of an employee on the employer for EPF balance withdrawal. This number is unique and allows it’s member to check all EPF accounts from different employers. 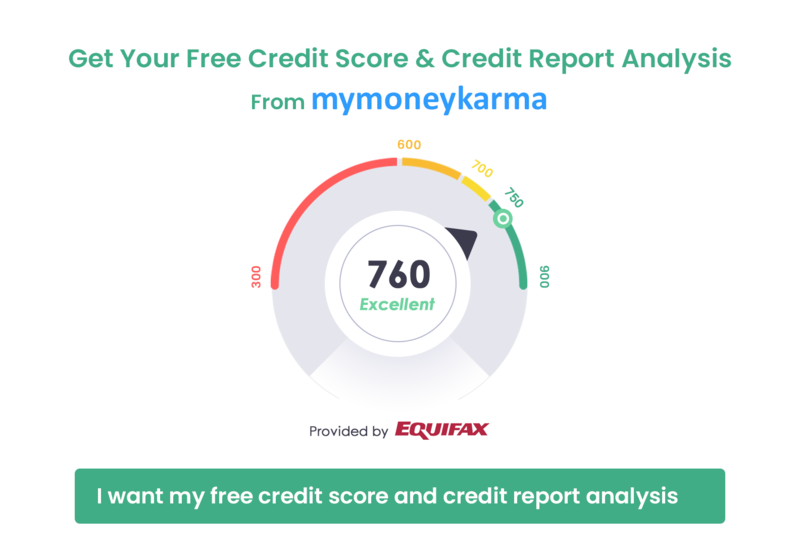 A member can also close the old account and transfer balance into a new one through this number, but the number provided by the employer needs to be activated. Get the UAN and member id from the previous employer for activation. Enter your UAN, member ID and mobile number and select your State and PF office from the drop-down options. Then click on “Get pin” after completion of entering your details. A pin will be sent to the registered mobile number which needs to be entered for activation. After activation, create a user id and password for using UAN services provided by the portal. Now employees can register for e-sewa service using their UAN number. Through this sewa, employees get access to various services such as UAN card download, KYC information update, getting account passbook linked via UAN, etc. Those who don’t come under the eligibility criteria but have a majority of employers and employees who wish to participate. Those establishments who already have a PF code but need another one for their sister concern or branch. This procedure is to increase transparency for employees to get accounts transferred and make submission of transfer claims from previous or current employer convenient through the portal. The digital signature of the authorized person is mandatory for this particular process. For employers, there is a separate UAN helpdesk, where the employers can register by providing information such as establishment id, PF office address, extension code if any and the registered mobile number as per ECR portal. There is a portal known as grievance management system (EPFi) for the employees who are looking for a solution to their grievances. A grievance can be registered by filling the registration form online where the information status (Employer, Pensioner, Employee), the name of the organization, address, EPFO office, name and address of the complainant, phone number and mail id need to be filled. The sub-categories which can be chosen under this category are Final settlement/PF withdrawal, transfer of PF accumulations (F-13), scheme certificate (10C) pension settlement (10D), PF balance issue, insurance payment benefit, etc. Once the complaint has been registered and if no response has been received, a reminder can be sent to the organization through the same portal. Pensioners can also access the portal to inquire about their pension. There are few details which need to be filled for this process like the address where the establishment is present, date of birth, code of employer. Submit the query to get further details. EPF helps employees in saving some amount of their salary, which they receive at the time of their retirement. The savings under it are tax-free. Aadhaar-EPF linking makes the procedure of detail verification a lot easier for the account holders. Fill your UAN and mobile number details to generate OTP. Type the OTP you received on your mobile number and select your gender. Select the option 1 to complete the verification method. Open the website of EPFO. Select “one employee-one EPF account” in service tab. Enter details such as UAN and phone number. Select “generate OTP” and the OTP will be sent to your registered mobile number. Verify OTP after filling the details. Put the details of old EPF account you are looking to merge. The declaration needs to be accepted for the completion of the process. 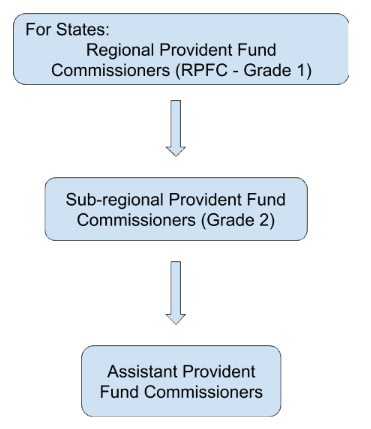 How the Provident Fund balance can be checked? Sending SMS:To avail this procedure,UAN should be registered with EPFO,after which you can get the details of the PF balance by sending SMS to 7738299899 as EPFOHO UAN ENG where ENG are the first three characters of preferred language.This facility is available in several languages.So link your UAN with aadhar,PAN and bank accounts or else ask your employer to do it to avail facility. Give miss call on 011-22901406 from registered mobile number to fetch the details. Use EPFO app:For this EPFO m-sewa app can be downloaded from google play store.After downloading select“member” and click on “balance/passbook” to enter UAN and registered mobile number. What are the initiatives taken by EPFO for pensioners? This service can be availed via Umang app.To view pension book, the person need to click on “View passbook” and submit PPO number and date of birth after which OTP will be sent to registered mobile number.EPFO is providing lots of e-services through Umang app like employee centric services,employer centric services,pensioner services and e kyc services. EPFO is planning to give options to members for increasing or decreasing PF investments in stocks through exchange trade funds(ETF) from PF accounts in current financial year to provide better returns in which the fund body is planning to credit investments in members account within in three months. EPFO has introduced e-nomination facility for its members for filing nomination form.